Coi Rubber leads the way, breaking new ground in custom plastic extrusion. Our highly qualified staff specializes in extrusion die creation and development. From research and development to quality control, our expertise in thermoplastics crosses industries and product lines, to come up with new, innovative solutions for your custom plastic extrusion needs. Plastic extrusions serves many different businesses, all with the custom plastic extrusions that help them succeed in today’s marketplace. We use dozens of different thermoplastics to design and manufacture hundreds of custom plastic extrusions profiles. We have combined our state-of-the-art equipment and a variety of materials with extensive staff knowledge, to create profile shapes, tubing, and rods in more than 20 different thermoplastics. W can make parts to your exact specifications. Our clients are any and every kind of company, commercial, medical, and agricultural. We turn out large, commercial orders for custom plastic extrusions, as well as much smaller jobs. 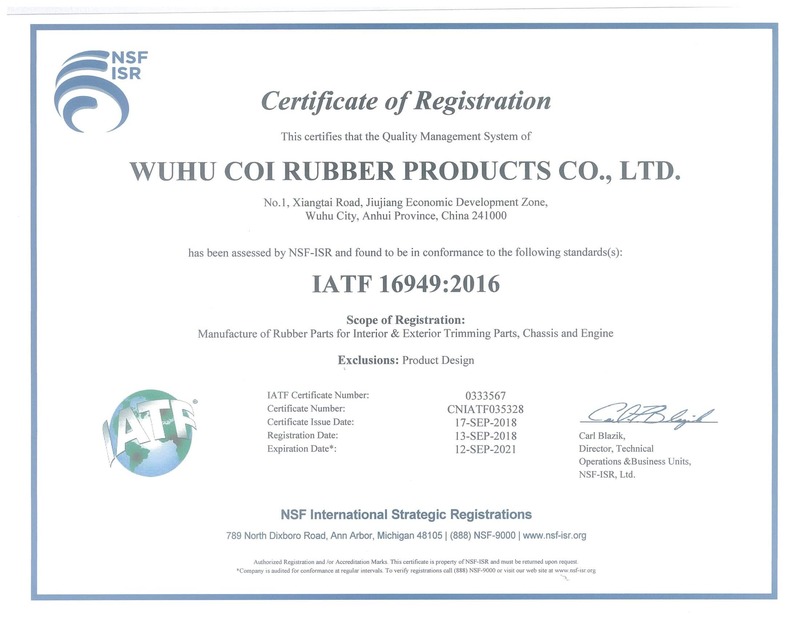 At Coi Rubber, we devote the same passion and attention to each new task and product. Plastics extrusion is typically a high volume manufacturing process in which raw plastic material, usually in the form of pellets called resin, is melted and formed into a continuous profile. Extrusion produces items such as pipe/tubing, custom profiles and plastic sheeting.